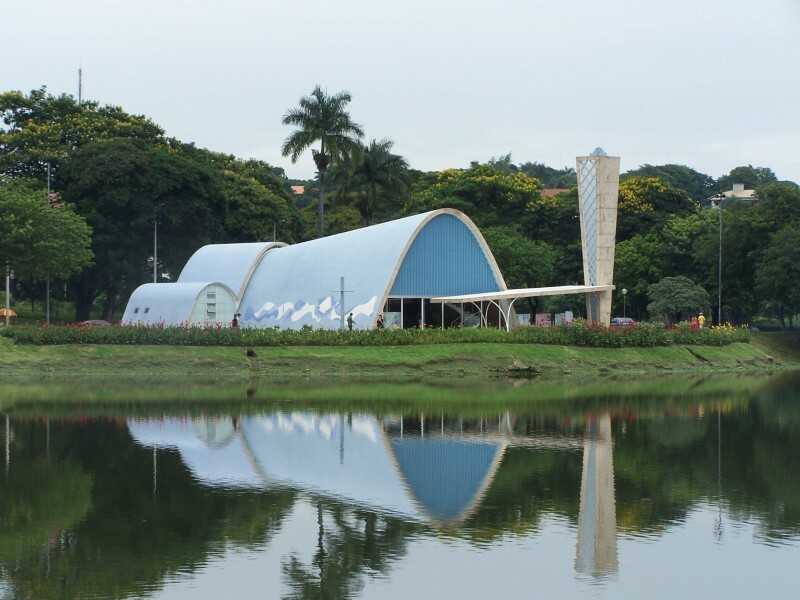 Do you know a church building that had to wait 16 years to be consecrated after its completion, that is used in the header of the website of the world soccer association FIFA, and is the first listed architectural national monument of its country? 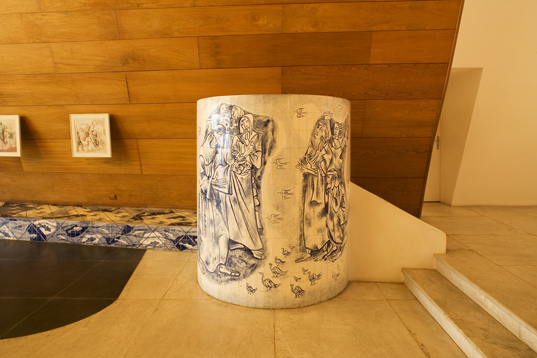 Many will understand that for this we have to be in Brazil and most will think immediately of architect Oscar Niemeyer. Niemeyer is the architectural image-builder of Brazil and the architect of several important architectural highlights (the UN headquarters in New York for instance). 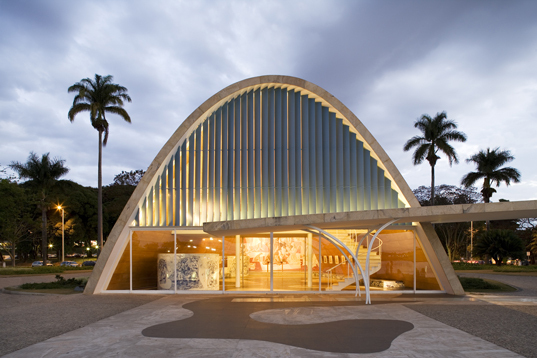 Fairly early on in his career he was approached by the mayor of Belo Horizonte, Juscelino Kubitschek, to design a complex with not only a church, but with a yacht club, a dance hall and a casino as well. Many may be surprised by such an assignment, but in Brazil this is not unusual. Later on Niemeyer was assigned an even bigger project, when Kubitschek had become president of the country and had set out to construct a completely new capital, Brasilia. Indeed, it did become a challenge, but primarily for the church. 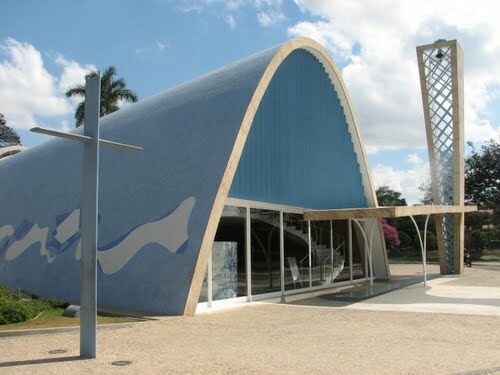 According to Time Magazine archbishop Cabral of Belo Horizonte called the church ‘the devil’s bomb shelter.’ In 1943 the building was deemed unfit for church services and hence not consecrated. A later mayor campaigned to get it demolished. 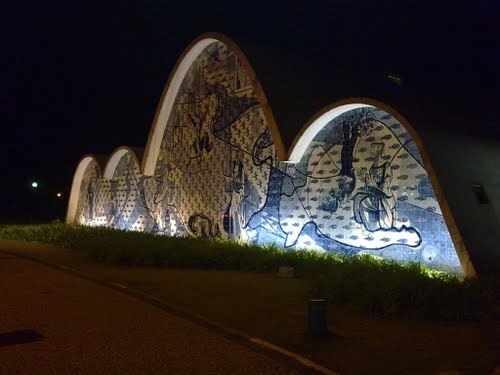 However, for this to happen Niemeyer’s name was too firmly established, as he had become the talk of the town in avant-garde circles in New York and been handed the keys of the city by its mayor for his design of the Brazilian pavilion of the 1939 World Fair. The building in its organically modern style seems to defy gravity with its undulating sensual lines. The pattern of unequal waves reminds one of a cloud. The tower that stands besides the church itself looks like a fountain. 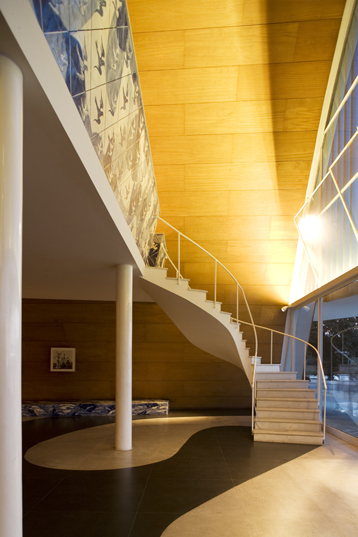 The entrance is located at the back of the building, offering a view of the lake. The wall at the roadside is completely covered with mosaics portraying scenes of the life of St. Francis of Assisi. The pavement of the square in front of the church forms a unity with the floor of the chapel. Also the garden has been especially designed. Inside the church has low painted benches along the walls to the left and the right, a homogenous and high ceiling, and a pulpit and back wall completely covered with painted images. 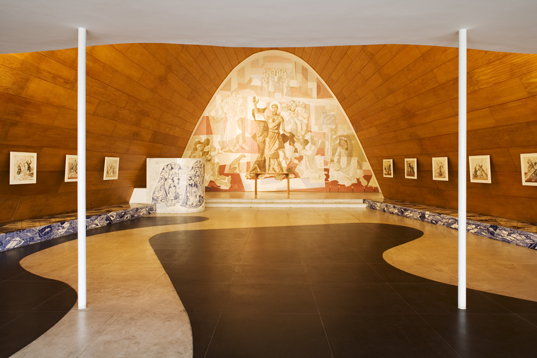 Le Corbusier, who influenced Niemeyer and worked together with him (among others on the UN headquarters in New York), characterizes Niemeyer as follows: ‘He is able to marry the emotionalism of the Baroque with industrial and sober materials.’ In this church Niemeyer was helped significantly by a number of visual artists. 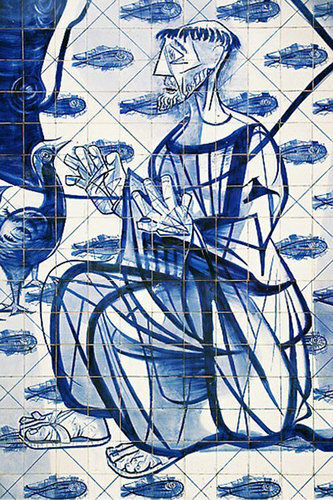 Candido Portinari for instance created the mosaics of St. Francis that cover the entire outside wall. In 1959 God’s hangar finally stopped being used as a storage space and radio studio and was ceremoniously consecrated. This small church of less than 30 metres long becomes an important eye-catcher for the whole region. Here the gospel is being communicated in word and image through the work of a communist architect, who today at the age of 104, five years after his second marriage, is still very active.